As Microsoft has already stated, the new 64-bit version of DirSync.exe is not installed or configured differently than its 32-bit predecessor. However, as a tinkerer, I wanted to verify this and have a look under the hood anyway! Before you start: Read and follow the instructions! In this article, I assume you’re at the point where you’re actually ready to install this product. 2. 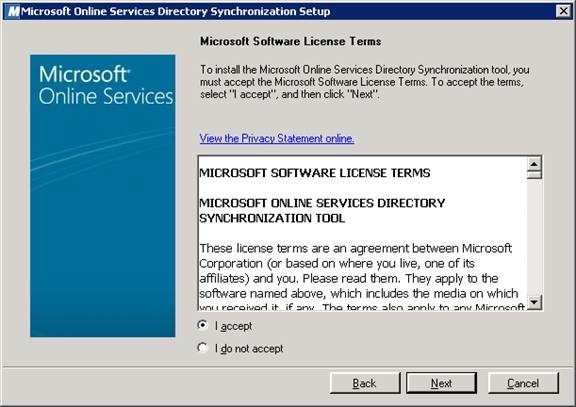 Then I ran dirsync.exe (downloaded from the portal.microsoftonline.com site).a. NOTE: Microsoft didn’t bother to change the installer’s executable name (dirsync.exe). This may be confusing if you plan to download and store both x86 and x64 versions. 4. 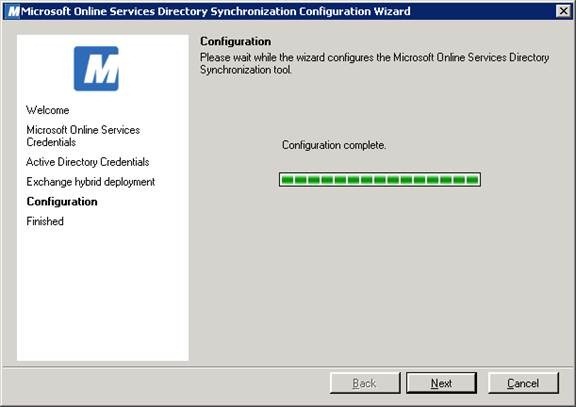 Once the background tasks have completed, you’re able to run the Configuration Wizard. This is where you will need to have your Office 365 tenant prepared and credentials identified, etc. 6. You should have created this account earlier. 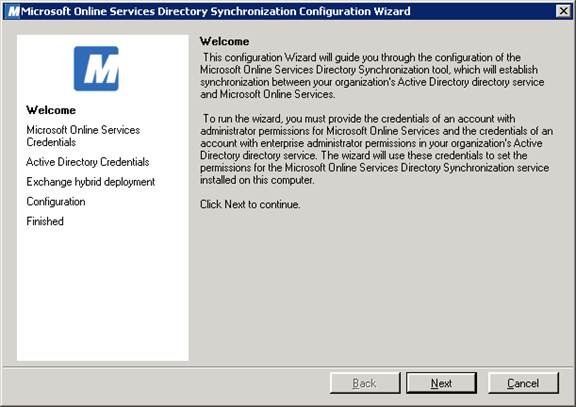 Whatever you put in here will be stored within FIM, and if you ever change the credentials, you’ll need to re-run this setup wizard. 7. Here you need to supply your forest’s Enterprise Admin credentials. This username is not saved anywhere, and is only needed once to set permissions for these new objects:a. 8. 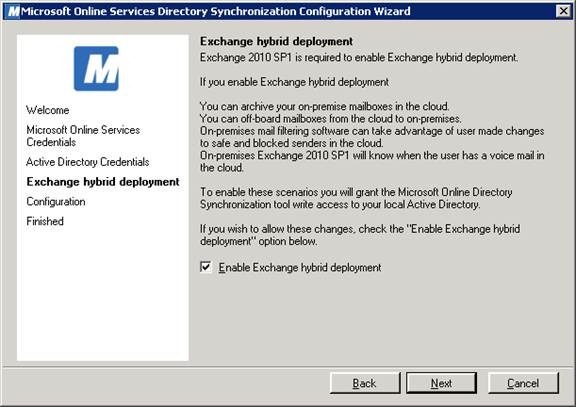 Selecting this box enables some extra features required for a “hybrid deployment” / “rich coexistence”, and by doing so you’ll allow FIM to update attributes IN YOUR Active Directory. If this box is not checked, FIM will read-only. 10. If you’re ready, you can run the initial full synchronization now. Otherwise, you can run it manually at any time.a. Once configured, DirSync runs every 3 hours. 12. Finally, be sure to run Microsoft Update again. You’ll notice that SQL 2008 R2 does not have SP1. ← A New Version Of Office 365’s Directory Synchronization Tool Has Arrived! Thanks for the FIM notes, Mike…helpful for solving annoying errors in the event log. INFO: Parsing Manifest File C:\Office365 Readiness\dirsync.exe. INFO: Manifest Definition Identity is (null). ERROR: Line 0: XML Syntax error. ERROR: Activation Context generation failed. DotNet 3.5.1 Framework is already installed on the server features. Do you have any idea, what should I do to continue my AD Sync with Office365..? 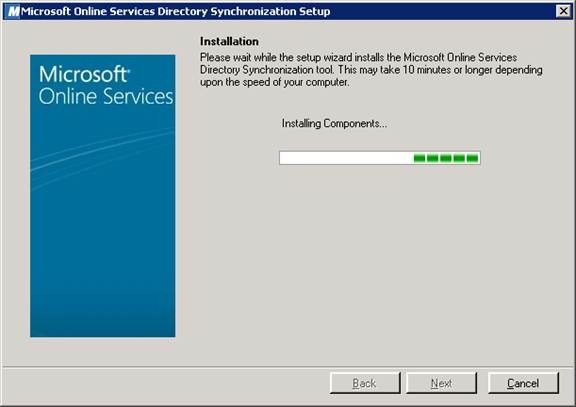 I thought I read somewhere that DirSync shouldn’t be put on the same server as ADFS, but I can’t find it now. Perhaps that was outdated information. 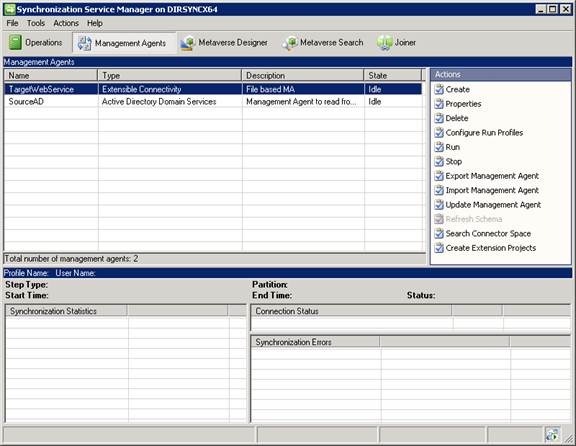 However, for my own piece of mind I would want DirSync to be on an internal server that can call out to Microsoft, and the ADFS Proxy to be in an external-facing DMZ/perimeter network. To be secured from a network perspective they would need to be on separate servers. 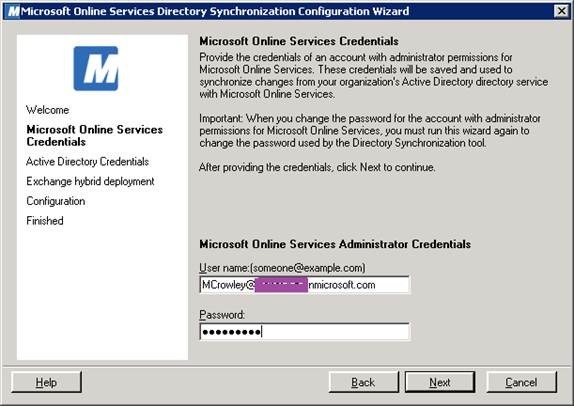 Excellent article, but now it is a little out of date now that they have upgraded DIRSYNC to include Password Sync. 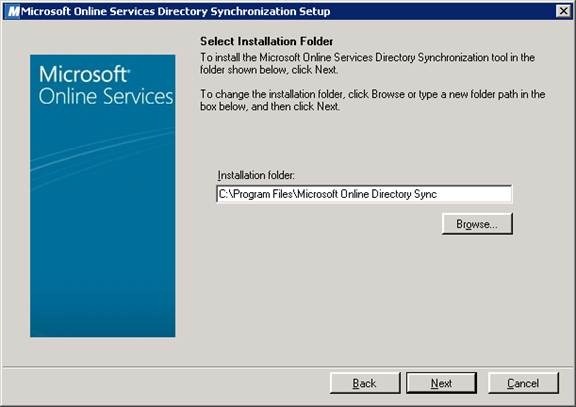 I have installed DIRSYNC2 (That is my name) and it changes the location of the files from “Microsoft Online Directory Sync” to “Windows Azure Active Directory Sync”. 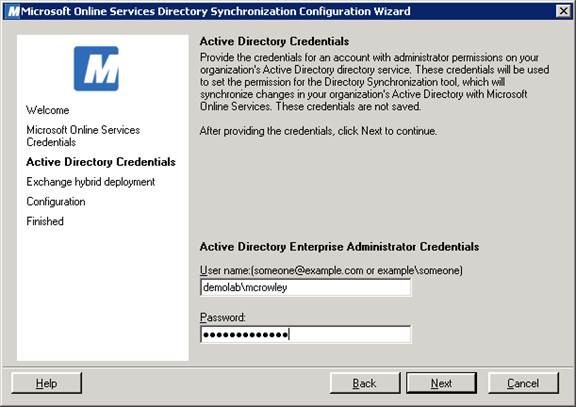 Also the Default Account created in AD for the Sync tool is changed from “Yourdomain\MSOL_AD_Sync” to “Yourdomain\MSOL_6b06ffadffb65” (at least on my system). Logon Failure: unknown name or bad password. I have checked the Azure Admin account, Enterprise Admin account, and even the MSOL_xxx user. 4. 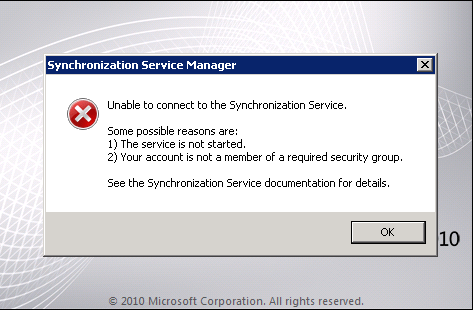 Sync from FIMSynchronizationService is not running. 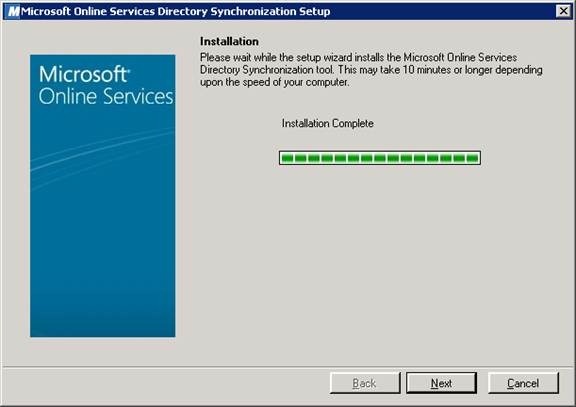 Accounts have sync’d into AZURE, but I checked miisclient and there is nothing in it. DionCal, I get the same errors. 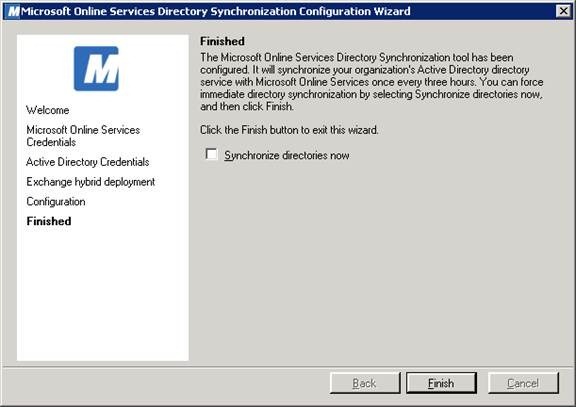 Did you ever get directory synchronization to work? 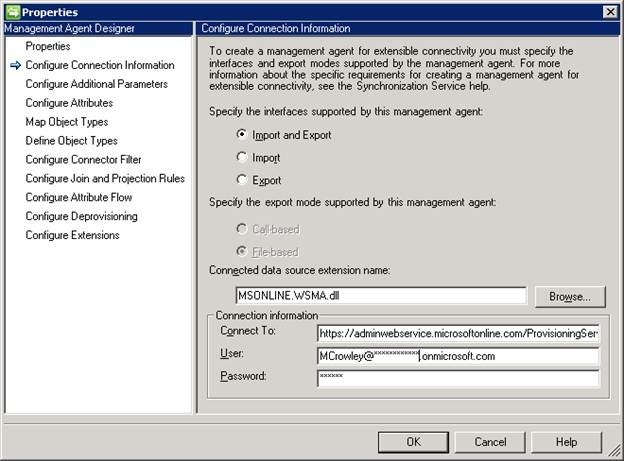 The Active Directory Enterprise Admin Account I was using was not Globally Unique in my Forest. I created a New Enterprise Admin account, and it resolved the issue. This seems like a New Requirement that I have not seen documented anywhere for AAD.